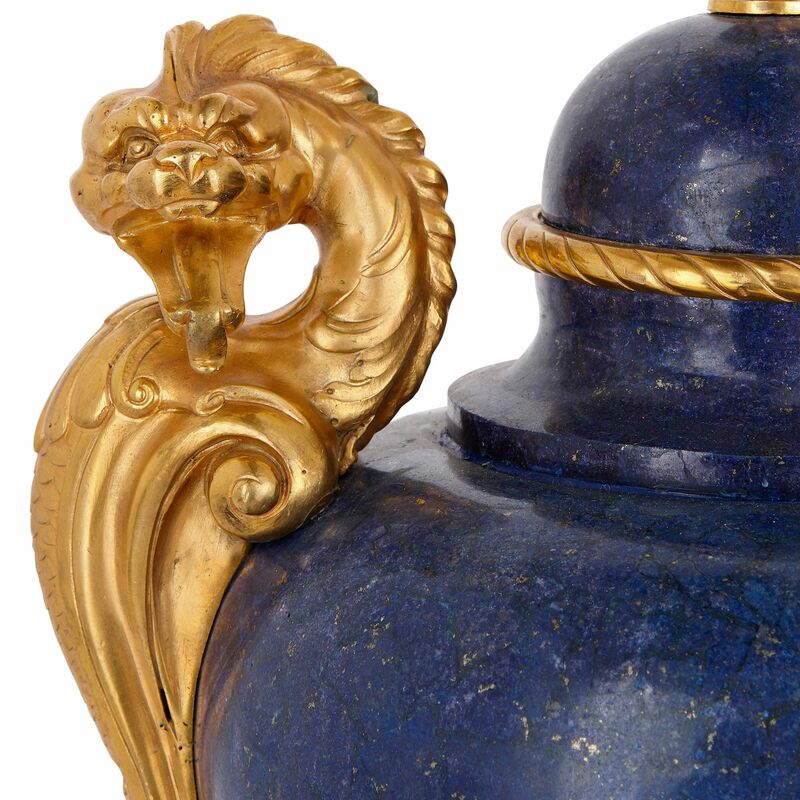 The vases are notable for their ormolu dragon-shaped handles, which are wonderfully expressive and beautifully offset by the deep blue of the lapis lazuli veneer. These vases were crafted in the late 19th Century in France. 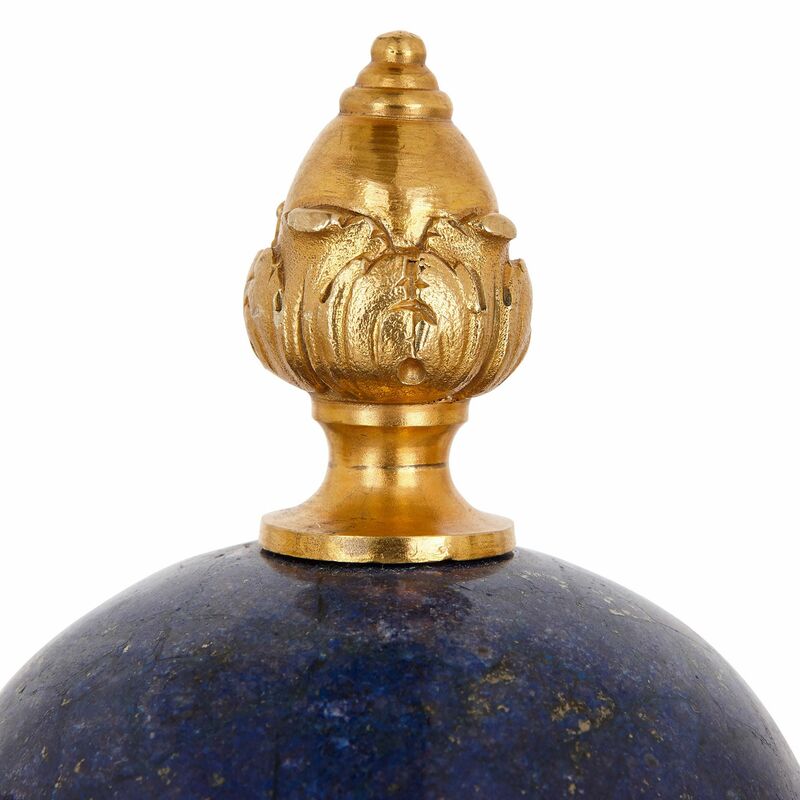 They have recently been restored and veneered in lapis lazuli. 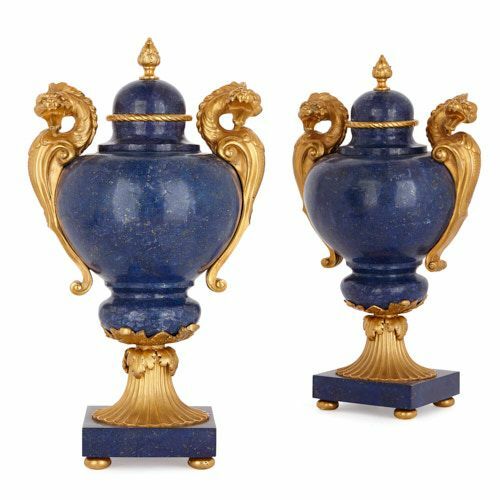 The vases are placed on square-shaped lapis lazuli plinths, which are each set on four ormolu bun feet. 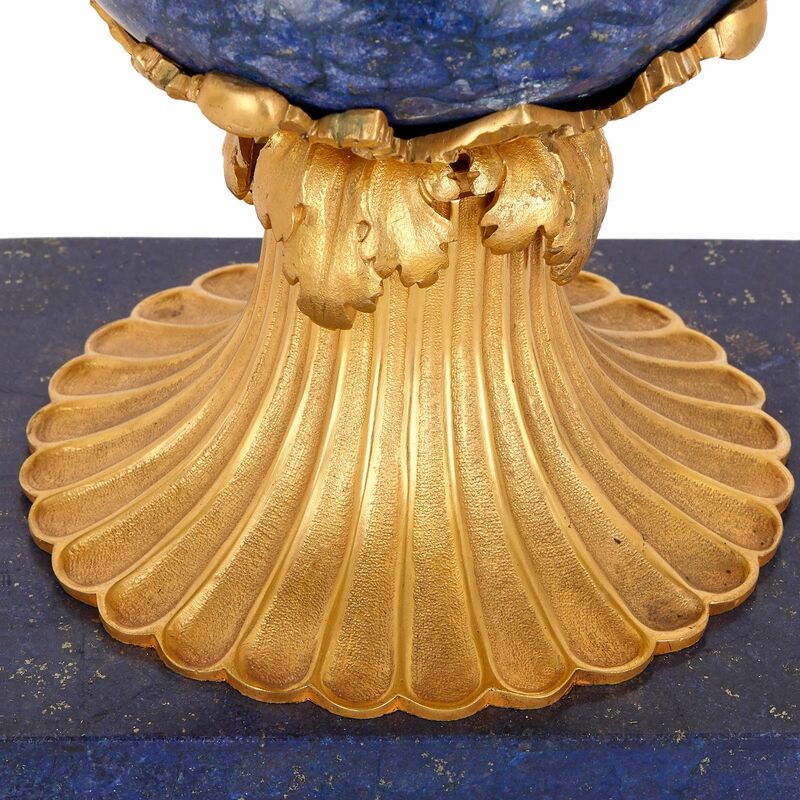 The items stand on ormolu waisted socles, which are fluted and have foliate tops. 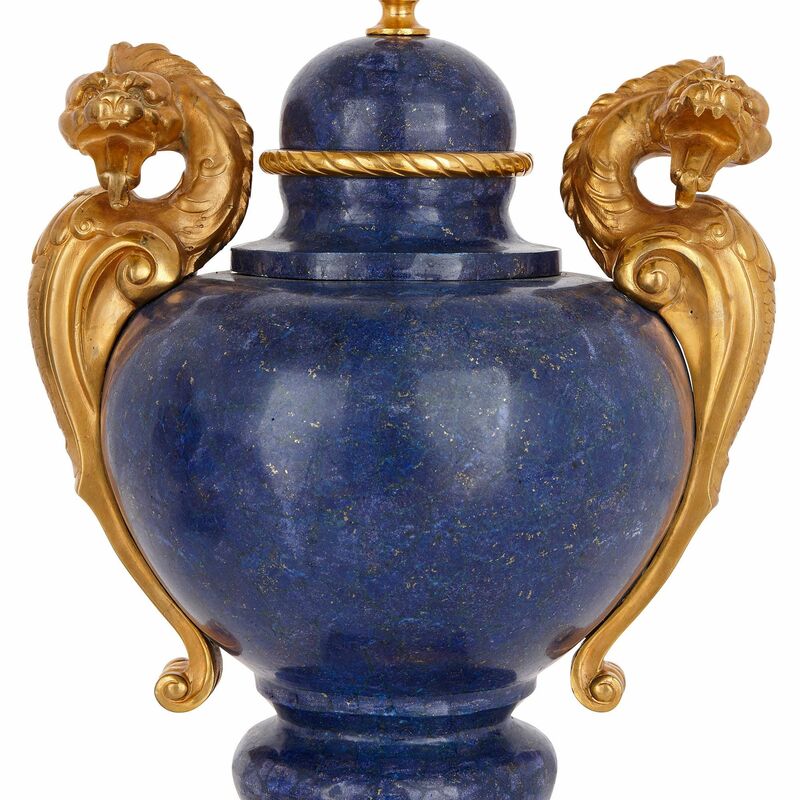 Above, the lapis lazuli vase bodies have swollen bases, which curve inwards, then back out to form bulbous upper bodies. Each vase body is mounted with two ormolu handles, which take the form of dragons with expressive faces and open mouths. 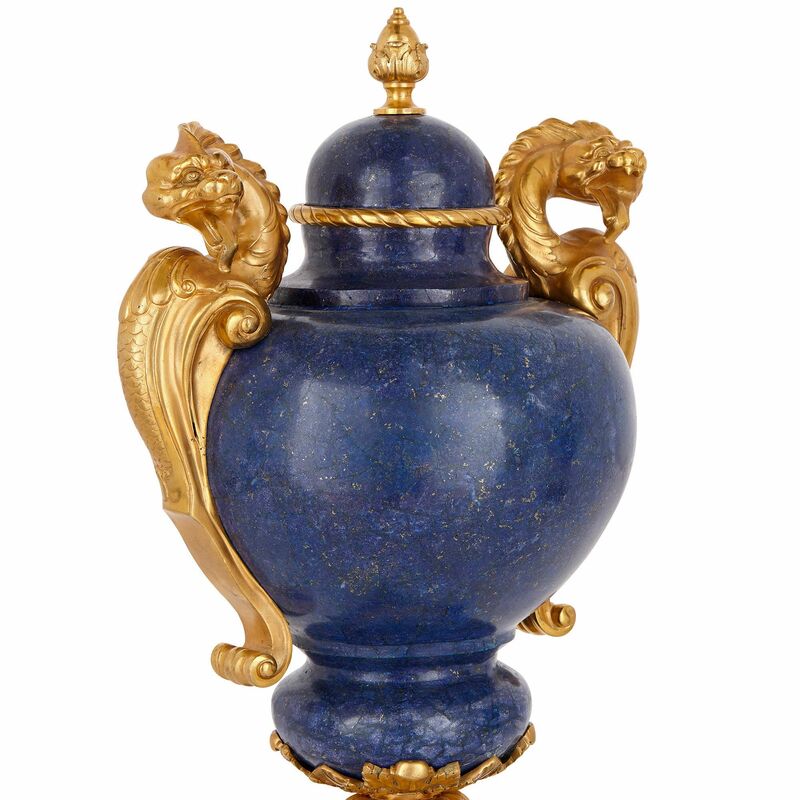 The vases are topped by domed lapis lazuli lids. These are encircled by ormolu twisted rope bands, and surmounted by stylised ormolu acorn finials with ball tips.